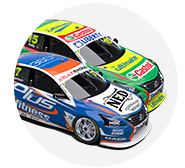 We are delighted with Nissan’s announcement today that it has committed to the Virgin Australia Supercars Championship for the next two years. 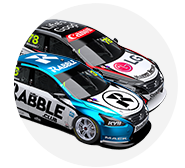 The factory Nissan Motorsport team has been an integral part of the Championship over the past four years and its decision to recommit is a strong endorsement of the category. It follows Holden’s recent decision to also recommit for another three years and reinforces the underlying strength of Supercars and its position in Australian sport. We believe we have the best touring car racing in the world and the strength of the sport is reflected in attendances, TV ratings and fan engagement. I want to thank Nissan Australia CEO Richard Emery and everybody at Nissan Motorsport, in particular Todd and Rick Kelly, for their ongoing support and commitment to Supercars. These are exciting times for the sport as we head into the Pirtek Enduro Cup with the Retro Round at the Wilson Security Sandown 500 this weekend and next month’s Supercheap Auto Bathurst 1000 at Mount Panorama.